Win a Nokia Lumia 800! You want one? You Tweet us. 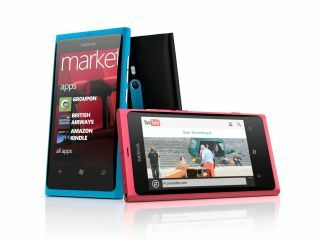 TechRadar has teamed up with Nokia to offer one lucky reader the chance to win a swanky new Lumia 800 to help promote the alphalabs.cc competition, an experiment which merges technology with the arts. The competition is designed to encourage artists and developers to share the experimental apps that they have developed and created on the Windows Phone 7 platform. The competition, launched in conjunction with onedotzero, is open for submissions until 13 February 2012 with the winner taking away a grand prize sum of £5,000 while ten runners up will each win £500 - just head over to alphalabs.cc for more information. Keith Varty, Head of Ecosystem and Development, Nokia UK and Ireland comments: "This competition is about bold ideas and experimentation, and brings to life the new possibilities that our partnership with Microsoft has created for the ecosystem. "The Nokia Lumia 800 with Windows Phone 7 has created exciting opportunities that participants of the competition will be able to take full advantage of. We'll be looking for concepts that demonstrate a creative use of the platform, and not necessarily fully finished apps." However, if you're more of a supporter than a developer, you can win yourself a tip-top Lumia 800 simply by heading on over to our TechRadar Phones Twitter page and letting us know which is your favourite app - but you better hurry, as it shuts at 10AM on 10 February.